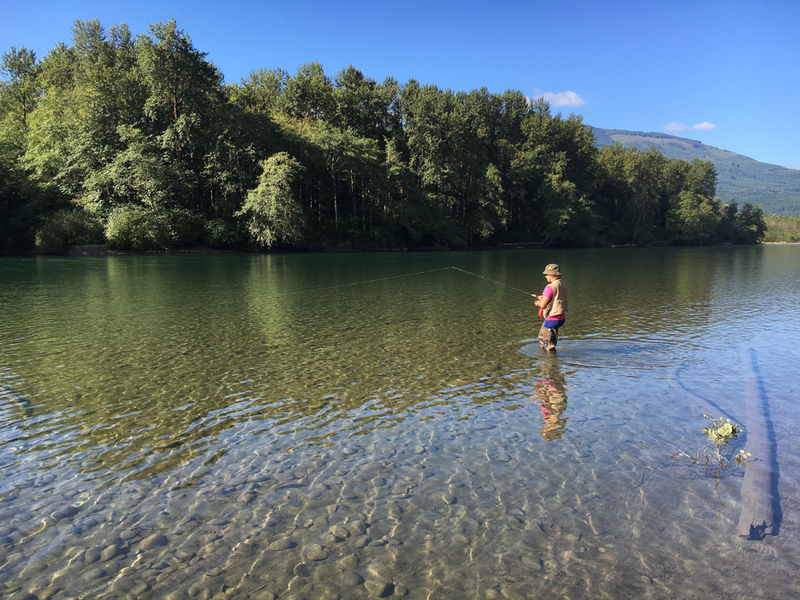 We started the morning fishing from our campground in the Skagit River. I dressed to the 9s in my hip waders and fishing vest. We knew there were both trout and salmon in the lake. We were ready for the trout, but when we heard there were 65 pound salmon in the lake, we didn’t quite know what to do as they would have snapped our poles right in half had we actually hooked one. The bank was really shallow on our side of the river and though we waded in quite a ways, we still couldn’t reach the deeper and faster part of the river where the fish actually are. We made our best efforts for about an hour and finally gave up without a single nibble. As awesome as it would be to bring home a 65 pound salmon, I think we were both a little nervous of what we were going to do if we actually had to reel one in. Huge Accomplishment!! Half a Century Bike Ride!!! © M & M Adventures 2016.